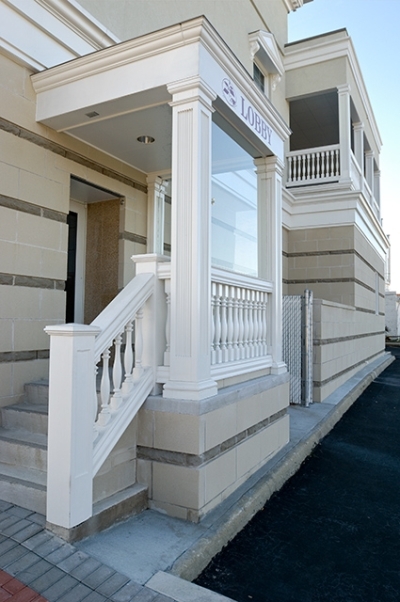 Fibertech's fiberglass balustrade and railing systems offer easy installation for your next project. Since fiberglass reinforced polyester (FRP) does not rot or rust, does not absorb water, cannot be damaged by termites or other insects, and features a long-lasting composite surface, you can be confident that your replacement or new balustrade will last. Fibertech also offers balustrade systems from Fypon. Fibertech offers exceptional assistance in the use of Fypon applications. For more information please call 864-646-3000 ext 146 or contact us.